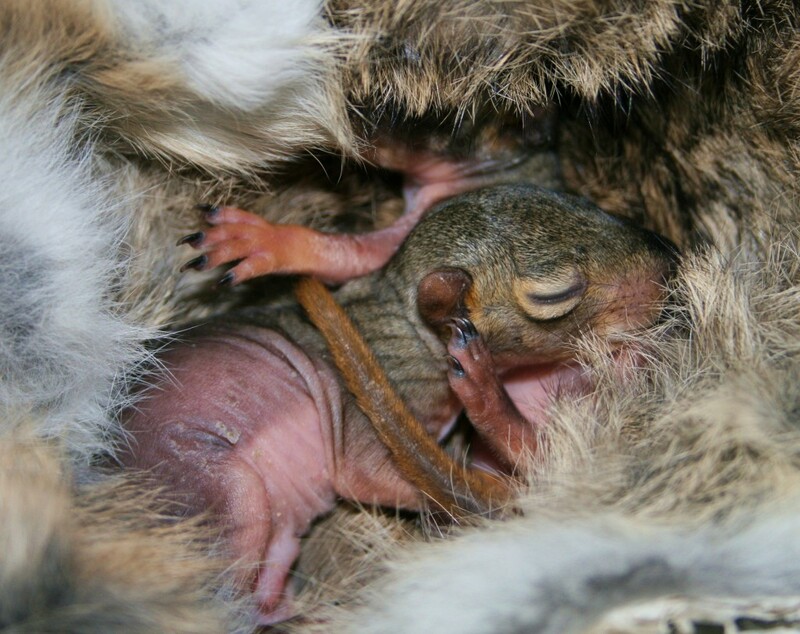 A mother squirrel gave her life trying to save her nest during a tree-removal project. Her babies were days old – blind and helpless. They would have died of cold or been picked off by some passing predator (cat, rat, dog, bird of prey) . Fortunately, a good hearted passerby noticed these helpless little ones, stooped to save them a sad fate, and brought them to us. Right away they went into loving care at the hands of our excellent Squirrel Foster Mother, Tina – a special person with a heart as warm as the mother they lost. This wonderful lady willingly took on the huge job of feeding them every two hours, round the clock at first, until that fine day when at about five weeks old their eyes opened and they were ready to try some real squirrel food – nuts! Shortly after that, they went into the large, well-made garden cages constructed by Tina’s partner in loving animal rescue, Mike – a rough, tough, and precise craftsman – a contractor with his own thriving company in the East Bay. After several months of continued care and “wilding up” outdoors, they were ready – and eager – for their magnificent birthright, the Trees! There is no joy like that of a healthy, young squirrel shooting up into the limitless world of branches, leaves, the very tree tops for the first time. They literally dance with delight, arching their strong bodies into gestures impossible to a human ballet artiste. This is their moment – and they know it. Leaping, chattering, stretching in the Sun where none of us shall ever go. This is what we see again and again, our eyes overspilling with the pure beauty of it. This is what months of dedication and love bring to us – and to them.